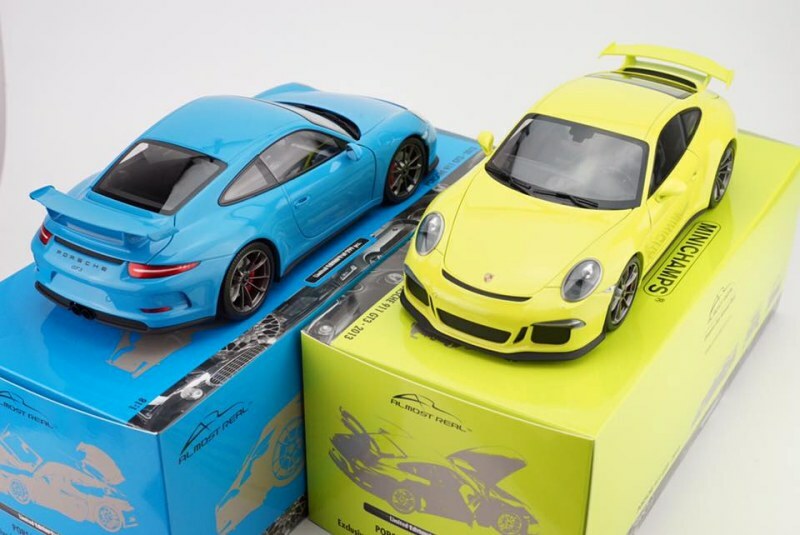 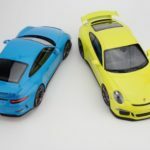 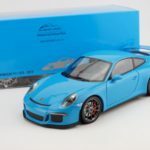 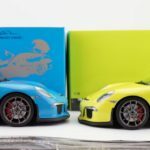 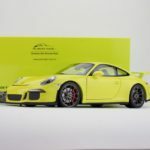 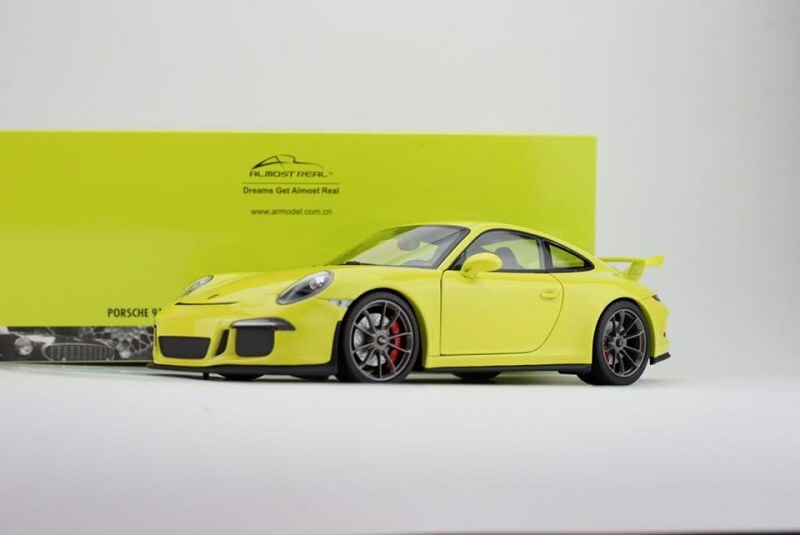 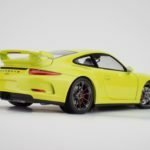 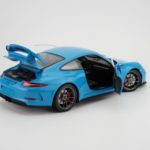 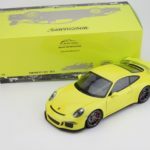 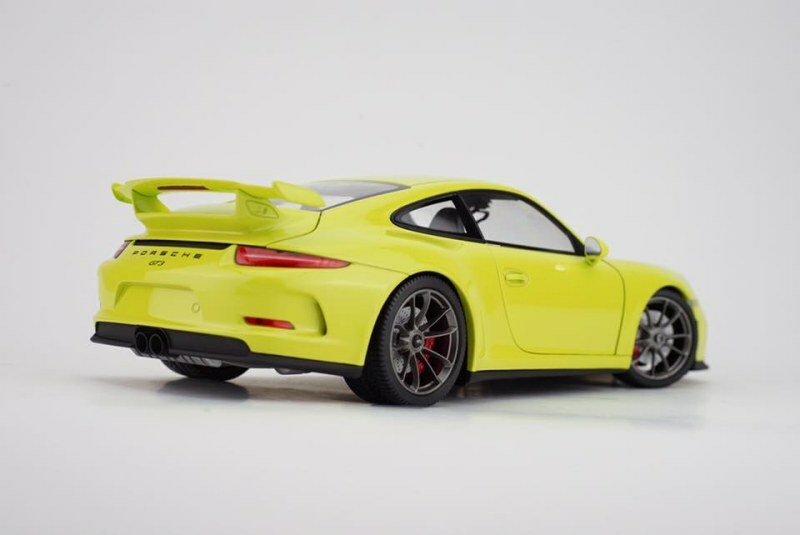 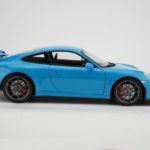 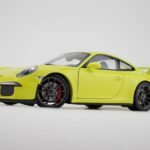 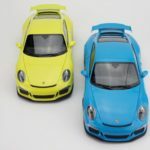 Almost Real unveiled a couple of neat colours for the a special edition 1:18 Porsche 911 GT3. 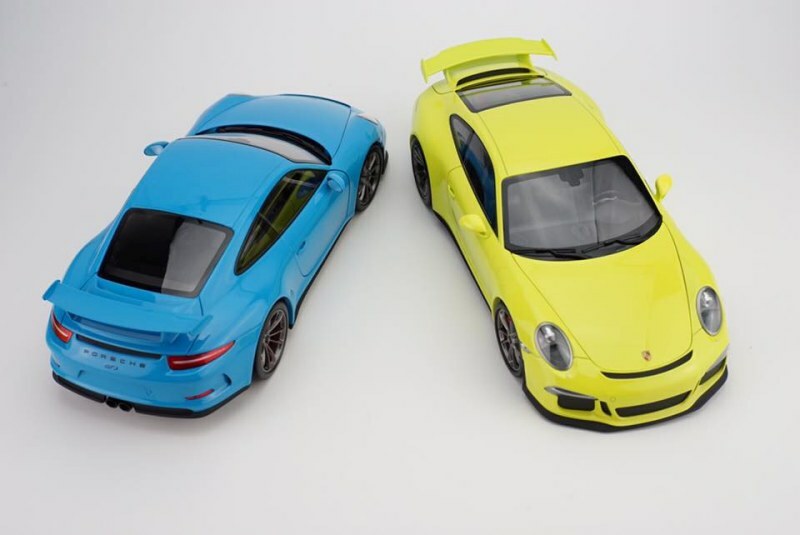 Riviera Blau and Ice Green are two upcoming colours exclusively for the Asian market. 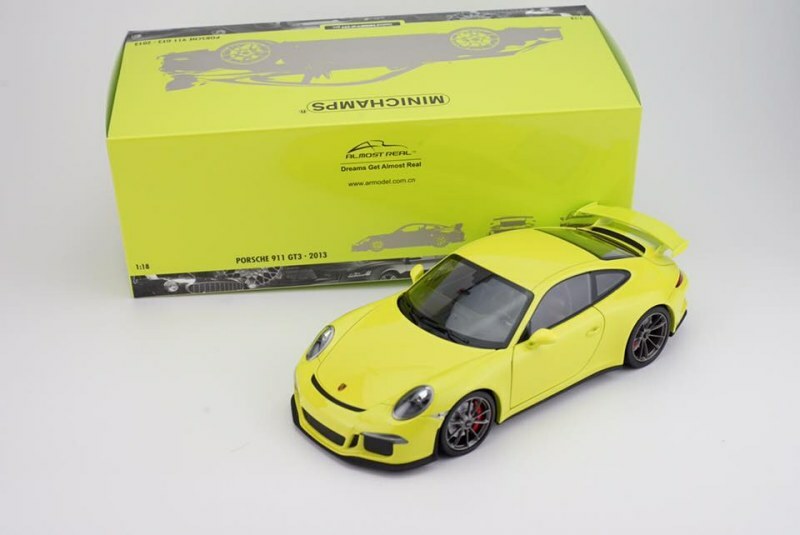 The official OEM supplier for Minichamps have taken the lead utilizing their mould. 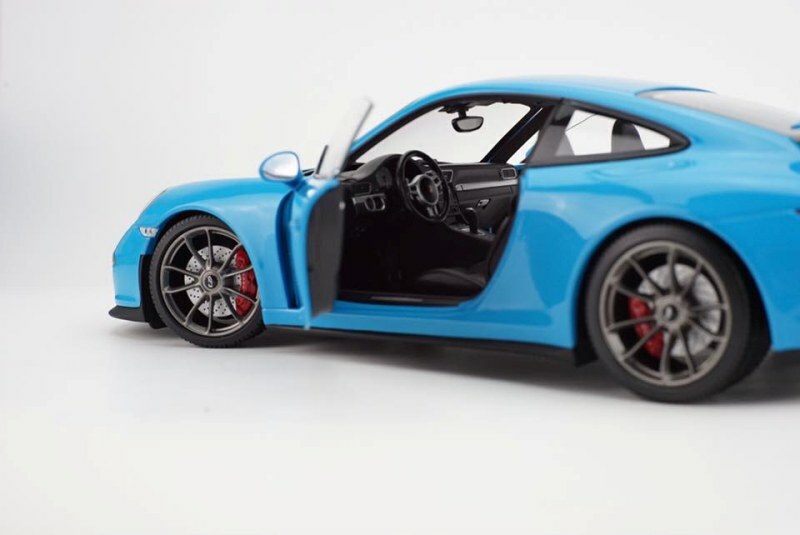 The Porsche features diecast metal and opening parts. 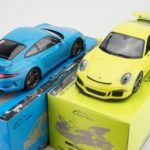 Only 299 pieces of each with be product. 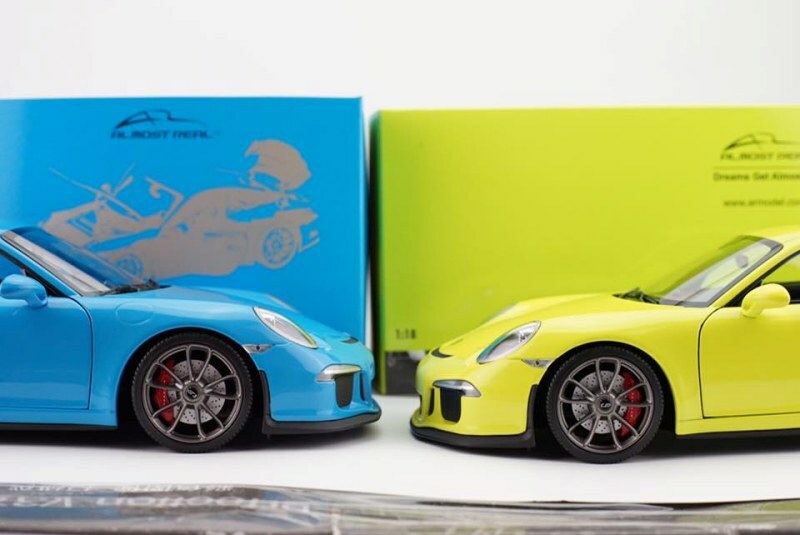 Damn they both look good! 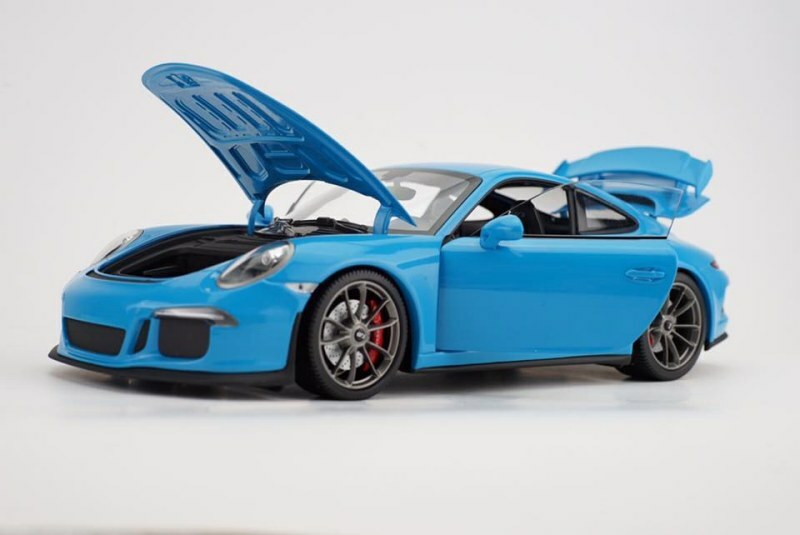 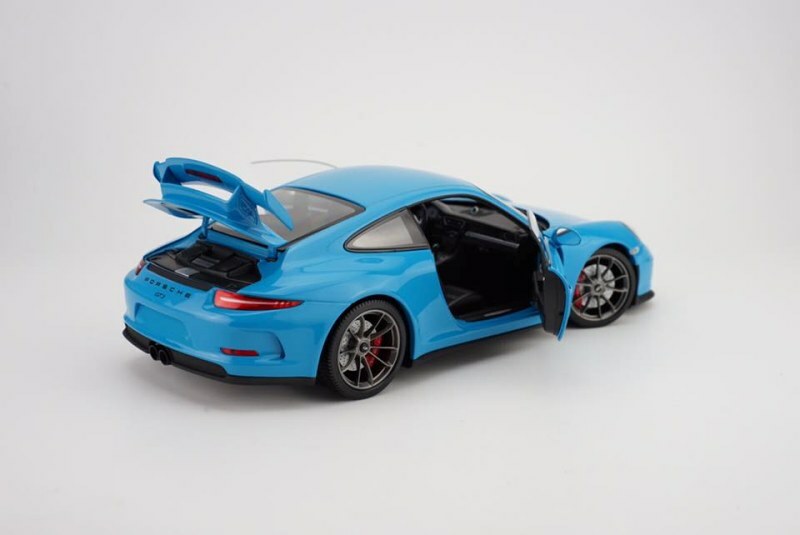 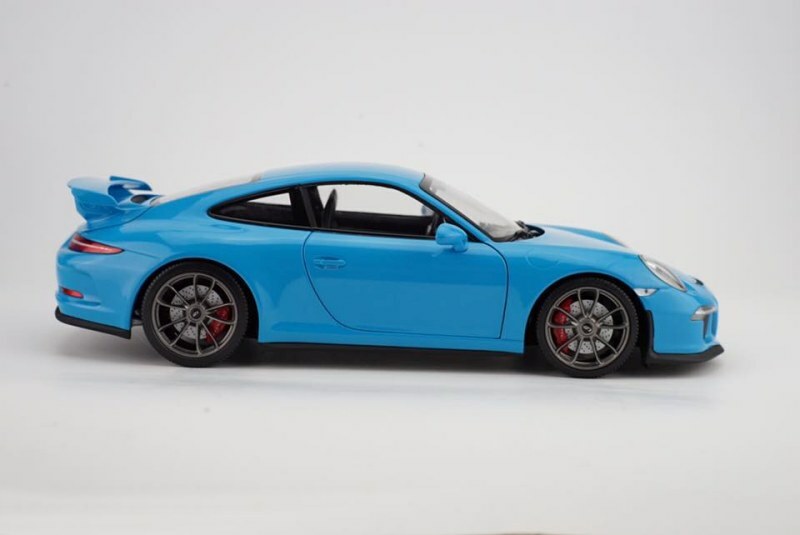 4 Responses to "Almost Real Porsche 911 GT3 – Riviera Blau and Ice Green"
Love the Riviera Blue. 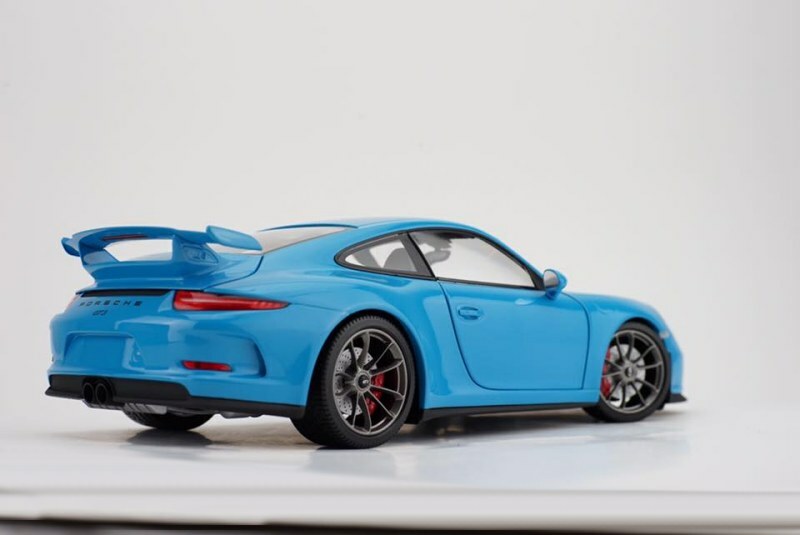 I hope there’s one for Sapphire Blue and Rhodium Silver at some point. 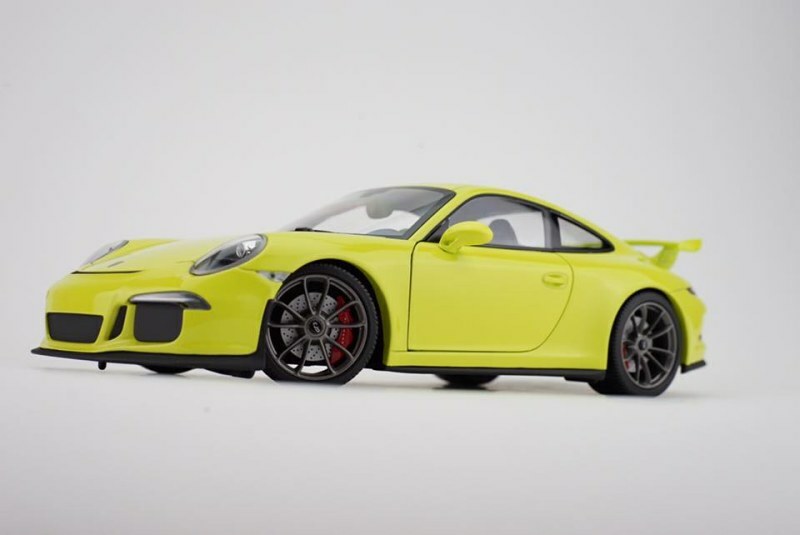 I think that other car is Acid Green, not Ice Green. 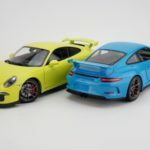 Aren’t these by Minichamps and not Almost Real? 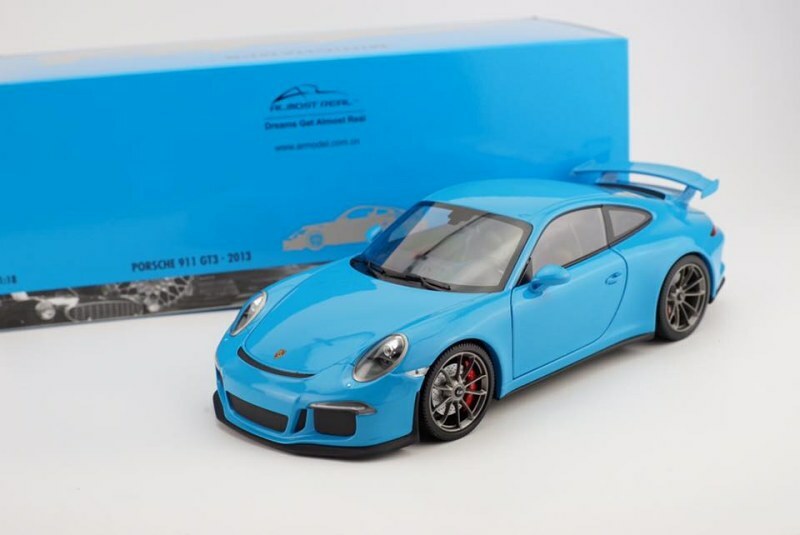 Almost Real is a manufacture of diecast models, one of their customers is Minichamps. 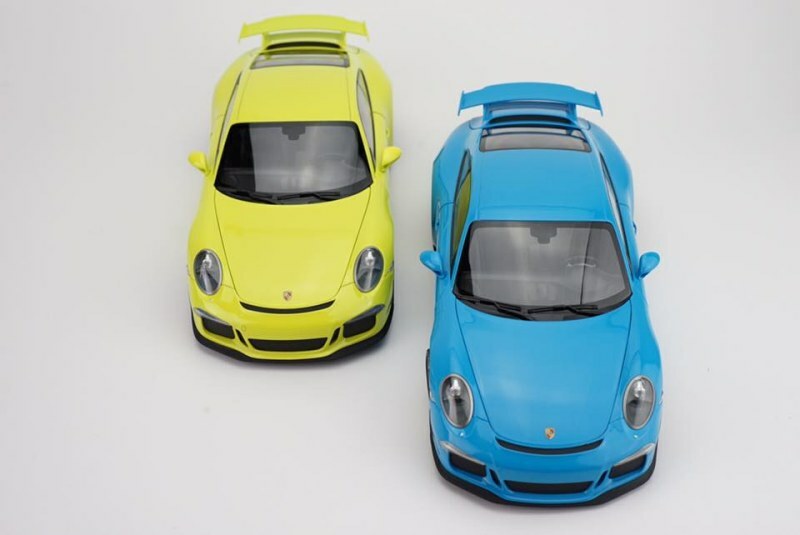 These models are specifically made by Almost Real for the Asian market, maybe with license from Minichamps. 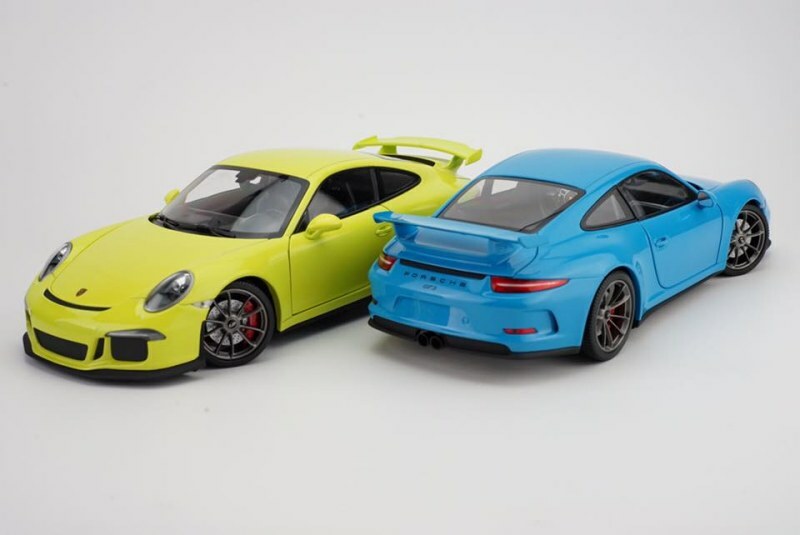 So those are still Minichamps models then…with the same mould and quality,but wearing different coats.Boo.